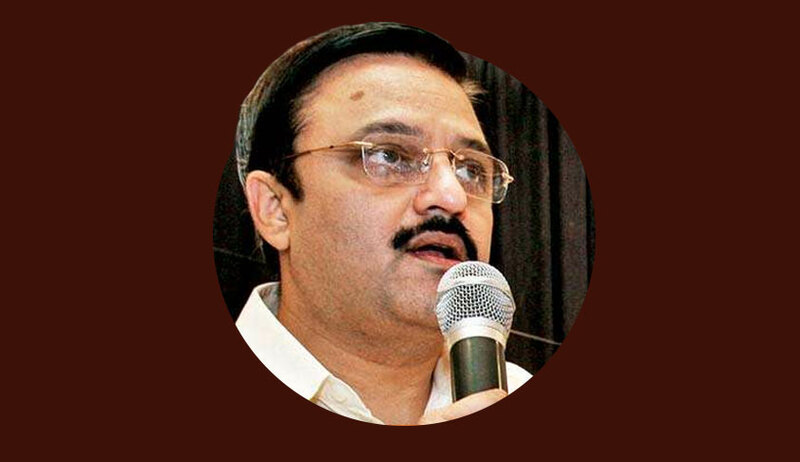 Justice AS Oka of the Bombay High Court became the centre of news last week after the Maharashtra government adopted some lowly tactics to prevent a matter concerning noise pollution being considered by the bench headed by him. Justice Oka was part of the bench that had held in August 2016 that area within 100-m radius from hospitals, educational institutions and courts would constitute ‘silent zones’. This had resulted in closure and shifting of several Ganesh mandals during Ganesh Chaturthi festival last year. As Ganesh Chaturthi festival approached this year, the state government submitted that the earlier order declaring silent zones was not longer in force, as the government had amended the Noise Pollution (Regulation and Control) Rules 2000, so as to denotify silent zones. However, the bench comprising Justice Oka was not prepared to accept this argument and made oral observations to the effect that the earlier order would continue to operate, regardless of the amendment, which seemingly was made to appease populist sentiments. Sensing the inclination of the bench, the Advocate General submitted that Justice Oka ought to recuse from hearing the matter on ground of “bias” against the government. A request for hearing by another bench was made before the Chief Justice as well. Following this, Chief Justice Manjula Chellur transferred the matter out of the bench of Justice Oka. This was widely criticised by the legal fraternity and the Bombay Bar Association and Advocate Association of Western India passed resolutions condemning the act of transfer. In the wake of widespread criticism, the Chief Justice recalled the order of transfer and re-constituted the full bench headed by Justice Oka to hear noise pollution matters. A glance of some judgments authored by Justice Oka undoubtedly reveals that he is a judge with a liberal outlook, who gives weightage to civil liberties over powers of the state. Justice Oka seems to very well understand that legislative processes are more often guided by political considerations of the day which seek to pamper the majoritarian sentiments (as discernible from the de-notification of silent zones) and, therefore, the endeavour to uphold rule of law often means turning against the populist current. Some of Justice Oka’s judgments are really noteworthy and underscore his liberal and humanist credentials. In Sanjay Ananda Salve vs State of Maharshtra , a bench headed by Justice Oka quashed the suspension of a school teacher, who refused to fold his hands during school prayer. The teacher proclaimed that he was a non-believer and that he could not be compelled to fold his hands during prayer song. The court protected his right and said his action did not amount to misconduct. Justice Oka authored the judgment observing that the Petitioner has a freedom of conscience and he cannot be compelled change his belief that the prayers are religious in nature and to stand with folded hands when the prayers are being sung. The freedom of conscience guaranteed to the Petitioner protects him. He cannot be forced to stand with folded hands when the prayers are being sung. There is a complete freedom for every individual to decide whether he wants to adopt or profess any religion or not. He may not believe in any religion. If he is professing a particular religion, he can give up the religion and claim that he does not belong to any religion. There is no law which compels a citizen or any individual to have a religion. The freedom of conscience conferred by the Constitution includes a right not to profess, practice or propagate any religion. The right of freedom of conscience conferred on a citizen includes a right to openly say that he does not believe in any religion and, therefore, he does not want to practice, profess or propagate any religion. If the parents of a citizen practice any particular religion, he has a freedom of conscience to say that he will not practice any religion. There is a freedom to act as per his conscience in such matters. Freedom of conscience under Art.25 of the Constitution encompasses in itself a freedom to an individual to take a view that he does not belong to any religion. The freedom conferred by Art.25 of the Constitution also includes a right of an individual to claim that he is an 'Atheist'. As the freedom of conscience confers a fundamental right to entertain a religious belief, it also confers a right on an individual to express an opinion that he does not belong to any religion. The court granted the prayer of the petitioner and stated as follows. No individual can be compelled to state that he belongs to a particular religion, though he does not practice or profess the said religion. He has a fundamental right to state that he does not profess or practice any religion and, therefore, what follows is the second part of the Prayer Clause (A) which will have to be granted. Therefore, the Government Printing Press cannot deny request of a citizen to declare in the gazette that he does not belong to any religion. Preventing a citizen from possessing flesh of cow, bull or bullock slaughtered outside the State amounts to prohibiting a citizen from possessing and consuming food of his choice. In Section 5D, the focus seems to be generally on consumption of beef s an item of food. Consumption of food which is not injurious to health is a part of an individual’s autonomy or his right to be let alone. Hence, it is an infringement of his right to privacy. Hence, it is an infringement of his right to privacy. In our view, Section 5D violates the right of privacy being an integral part of the personal liberty under Article 21. Thus observed Justice Oka, as the bench headed by him struck down Section 5D of the Maharashtra Animal Preservation Act, which criminalised the possession of meat of bull or bullock slaughtered outside Maharashtra. Significantly, the judgment holds that what one eats or drinks is a part of one’s right to privacy. Even before the Supreme Court recently declared right to privacy as a fundamental right under Article 21, this judgment had recognised right to privacy as an integral part of personal liberty. One cannot withhold a salute to the foresight and prophecy of the learned judge. Acting on a petition filed by one Dadar resident Durgesh Warty, a bench headed by Justice AS Oka directed the state government to shift the venue of Republic Day parade from Shivaji Park. The court stated that Shivaji Park was a silent zone, and hence, no procession can be allowed there, be it even the Republic Day Parade. The government had issued a direction to fair price shop dealers to collect the Aadhaar data of the beneficiaries, failing which their allocation quota will be reduced. The bench headed by Justice Oka granted interim stay of the direction, holding that prima facie, it is not a part of their duty to collect such data, and therefore they cannot be penalized for non-compliance. During March 2017, a bench comprising Justice Oka passed comprehensive directions for ameliorating the condition of prisons in the state. The court was acting on a petition filed by an NGO ‘Jan Adalat’. The court also showed its concern for the children of women prisoners, and stated that children of young age should be permitted to stay with their mothers in prison. It was stated as follows: An arrangement will have to be made by establishing creche, nursery schools, kindergarten schools and, if necessary, primary schools near the precincts of the Jails so that the children can get proper facilities of education. If such facilities cannot be provided, the State Government must ensure that they are admitted to nearby Nurseries/Schools. As the mothers will not be in a position to pay regular fees when the children are required to be admitted in private institutions, the State Government will have to make arrangement for payment of fees. Justice Oka is held in reverence and high esteem by the members of the bar as a person who is morally upright and principled. In a report to Indian Express, Advocate Hiten Vanageonkar cited one example from the life of Justice Oka as a lawyer as an example of his honesty and integrity. Reportedly, he argued and won a case before then Chief Justice BP Singh. Later, he came to know that the decision on which he had relied to win his argument was later overruled by the Supreme Court. Immediately, Chief Justice BP Singh recalled his initial decision; but the Chief Justice appreciated the intellectual honesty shown by him. Thus, he is regarded as a person who would not compromise on principles even if it deprives him of professional gains. The events which transpired at the Bombay High Court are quite unsavoury and reflect the practice of advocacy in a low light. But, it also highlights the fact that honesty and integrity will ultimately triumph over unethical tactics. One may impugn the judgments of Justice Oka; but not his honour.